1. If you have no your own tea shop, we can help you to set up a suitable one for you, give you the right to use our brand ”China teanet group”, provide you all kinds of our tea, and tell you our administrators, sales skill and the relevant knowledge about tea. At the same time, our network staff will make a website for you according to your actual situation, this web will be linked to our web; we will do some other sales promotion for your tea shop. And you can set up an online teashop on our web. 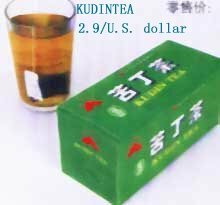 (2) only Sale product of CTN in your tea shop. 2. if you have your own tea shop, only want to bring in some new tea to your tea shop, we can provide our tea to you, when your order reach a certain amount for the first time, you can become our agency in your country, we will provide our sales skill and the web link too. You can not only have the right we offer you on the above, another important right is that you have the sole sales right of the product of CTN, that means we will not export the same product to your agent area to other importer. But only when you reach the certain quantity we require.